I am well known for my indecisiveness when it comes to shopping, I mentioned in day 7 of my adventures that we had arrived in Paris to freezing weather, I therefore had no choice but to buy a jacket as my now off-white hoodie was desperate for a wash. I ended up buying a jacket but it was a tad too big. Yesterday the boyfriend (Sean) accompanied me back to the shop so I could try on the smaller size. It looked better but unless I planned on my movement resembling that of “the robot dance”, the jacket was just too small so I stayed with the size I had purchased. 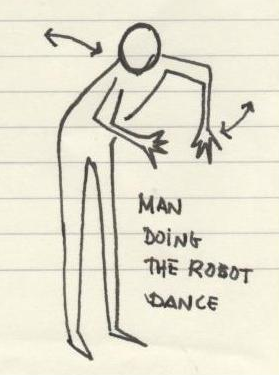 However (here comes the indecisiveness) today something compelled me to go back to the store to try on the smaller size one more time… Maybe I could live with “the robot dance” for the sake of fashion. This time I was doing a solo journey as I left Sean at Starbucks our trusty wifi hub. Sean had given what he thought were clear instructions directing me to the store but an hour and approximately 6km later I just couldn’t find it!! 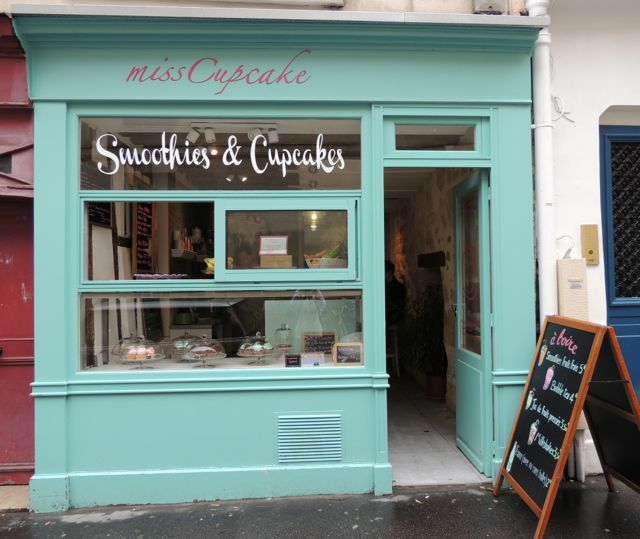 My “Quirky mishap” had me on a calorie burning mission walking all around Paris, along the way passing beautiful boutique shops, cafes and delicious bakeries. Some people pay for a tour around Paris but I think I just about covered it today for free!! I eventually made my way back to Starbucks where Sean accompanied me on a 3 minute walk to the store, how did I miss this!! Wait for it…. THE STORE WAS CLOSED FOR STOCKTAKE.. I told you “Quirky mishaps” seem to find me. 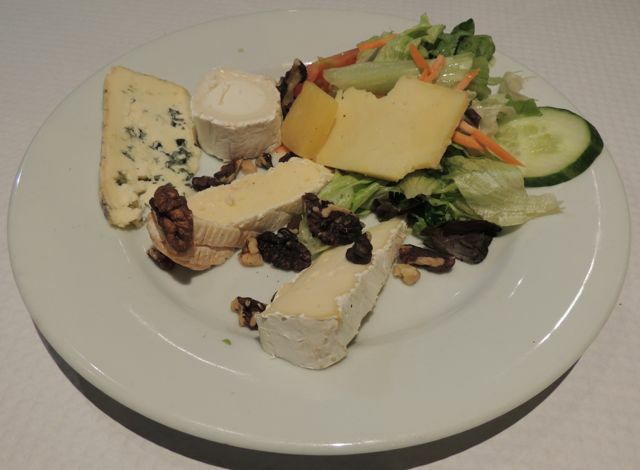 I had worked up quite an appetite on my solo Quirky tour around Paris so it was time for lunch!! 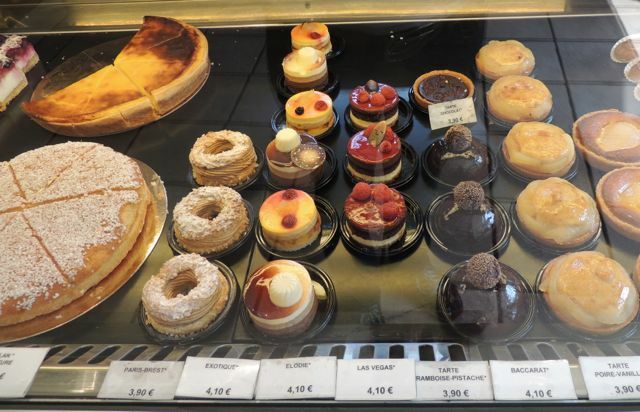 So far my food choices in Paris have not left me feeling so good. We found a cute café where I saw someone order steak, salad and fried potatoes. The potatoes didn’t look too unhealthy as they were sliced quite big (therefore less oil penetrating into the potato) so we both ordered what we thought was steak by asking for the “steak tartare with fries and salad”. I am an avid fan of Masterchef so I really should have known better; also the description of “raw or cooked” should have made it clear I was not actually ordering what I thought. I now know why fries are called “French Fries”, the Parisians seem to love thin fries.. I don’t understand as all French women I have seen are in great shape!! 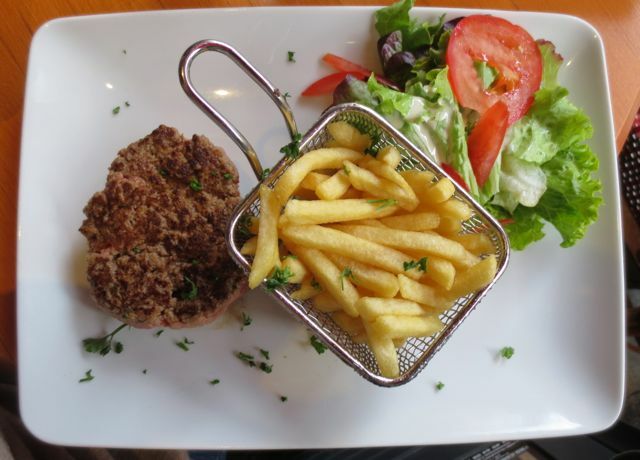 I had ordered the “cooked” steak tartare, my meal arrived with “French fries” and what looked like a big beef patty, I was a little disappointed but figured I would just eat the meat and salad BUT when I cut the beef patty open it was RAW inside!! Of course it was as this is what steak tartare is, silly me!! Lucky for me the lovely people in the café spoke a little English and kindly cooked it a little more. 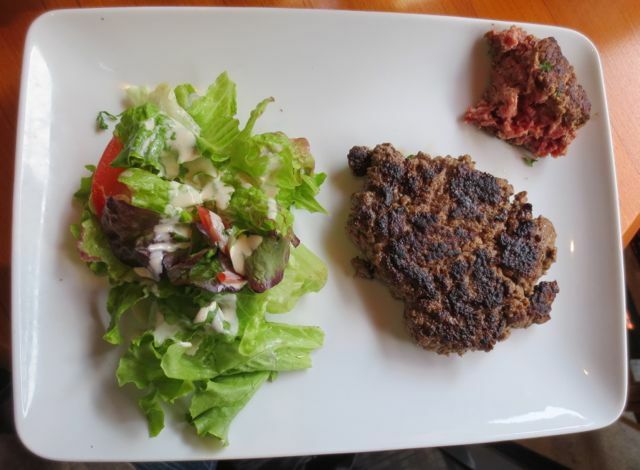 You can see below my cooked lunch and a piece of Sean’s raw authentic steak tartare of which he said was quite tasty. 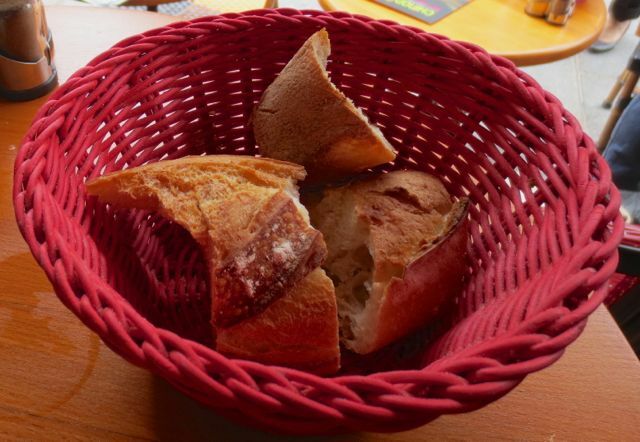 I must say, so far Paris has the best bread I have ever tasted!! 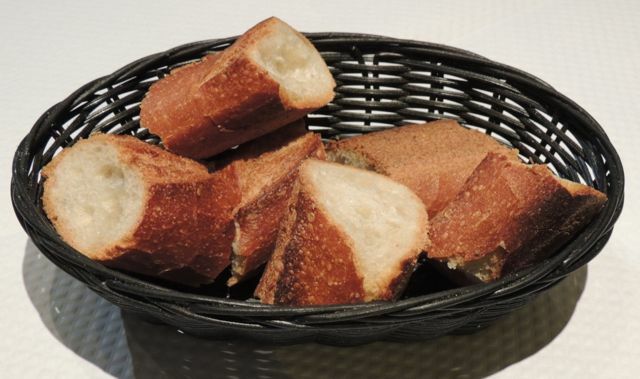 No matter what you order, the meal is accompanied with pieces of fresh crusty baguette.. 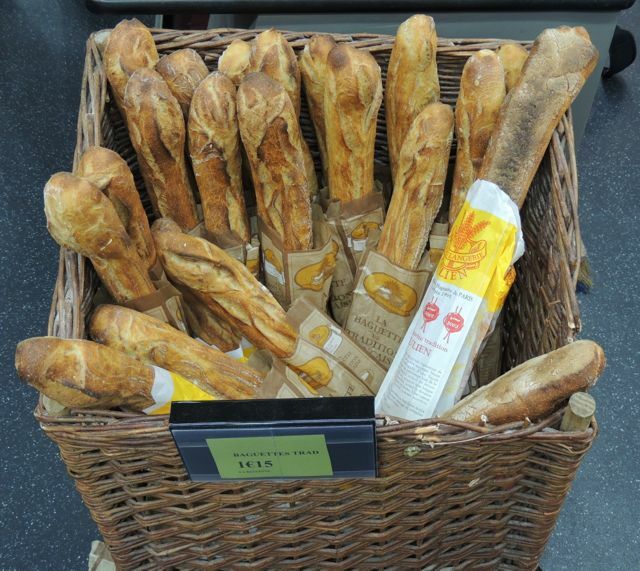 I am not normally a bread lover but I could easily eat a plain baguette at any time of the day in Paris. 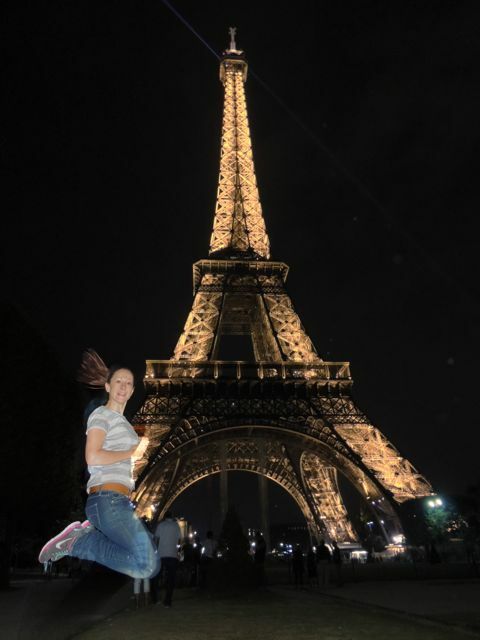 As mentioned in day 8 of my Quirky adventure, the battery of my camera ran out while I was at the Eiffel Tower so Sean and I decided we would do our own bike tour by night so we could see more of Paris and at the same time get some quality happy snaps at the Eiffel Tower, this was also a great way to burn off the quirky calories I had been consuming on my adventures!! As we neared the Eiffel Tower we were a tad hungry so stopped at a restaurant close by called “Brasserie De La Tour Eiffel”, at first everything seemed fine. We were given a lovely table, the waiter was friendly and poured us some red wine. However this is where the positive experience stopped. DO NOT EVER DINE HERE!! 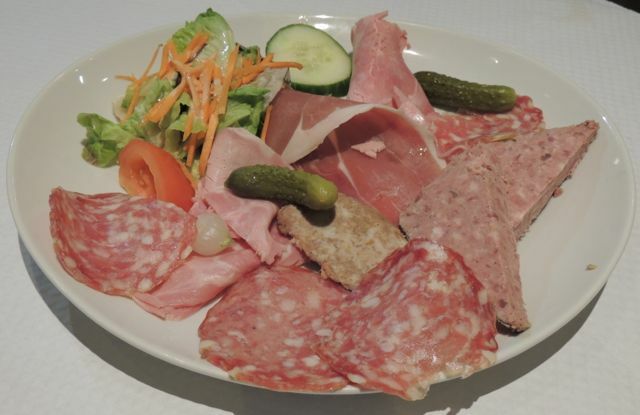 We ordered what ended up being a STALE cheese and cured meat plate that was accompanied by stale baguette!! Stale baguette in Paris, how can this be?? This should be illegal!! It is not easy to identify stale produce by looking at pictures but believe me this was far from being a fresh meal! We were warned to stay away from tourist spot restaurants but didn’t think a cheese and meat plate could go so horribly wrong. 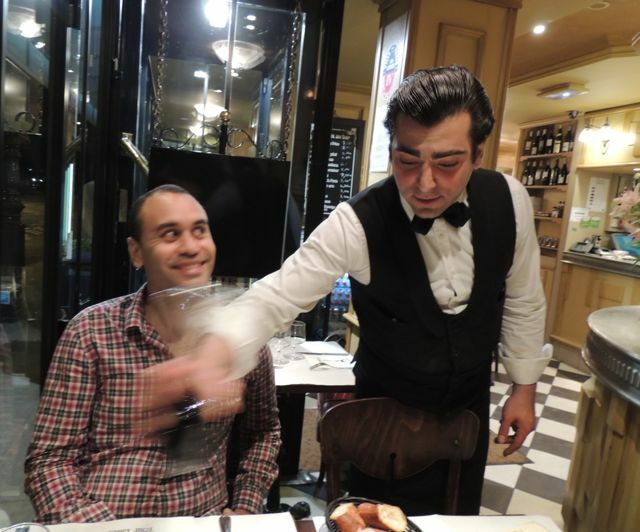 The waiter liked the picture I had taken of him earlier pouring the wine so I kindly offered to email this to him. He was acting strange while we dined but I put it down to our different cultures, however be warned as this waiter is extremely sneaky!! He strategically wrote his email address down at the same time we paid our bill and thanked us for coming BUT where was our change??? We were waiting for just over 10 euros in change and it was extremely obvious he was trying to distract us in the hope we would forget our change. We made it known we were waiting for our change and as a result did not tip. We were now within walking distance from the Eiffel Tower. We found a nice spot and took some pictures of the lit up Tower and got some great action shots!! The great thing about these action shots were we were burning calories posing for them. We then got back on our bikes and cycled past more of Paris’s gorgeous sights that brought us to a bridge that was actually a Quirky Paris tourist attraction. The bridge was covered in locks of many shapes and sizes; some of these locks had hand written messages on them in a permanent marker. 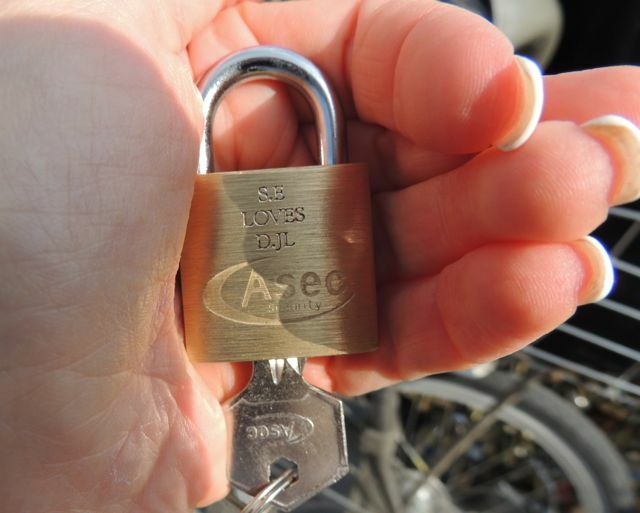 Paris must have brought the romantic out in Sean as after we cycled over the bridge he surprised me by presenting me with a lock. At first I thought he had somehow removed it from the bridge but upon closer inspection I realised the lock was actually engraved with our initials. One side read “S.E Loves D.J.L” and the other had the date “27/8/13”. What a thoughtful romantic gesture, maybe we should come to Paris more often! !